The twenty first book in the Wesley Peterson series is as fascinating and unputdownable as the first one I read. As with all the books in this series there are two crimes running in tandem. One a current mystery, and one set centuries before. In this story we are first privy to an extract from the journal of John Lipton set in April 1884. We then move forward to August 2016, when we meet Zac Wilkinson who is writing a biography of Wynn Staniland, a legend in the literary world, who suddenly become a recluse in the 1980s. Meanwhile DI Wesley Peterson is called to the unexplained poisoning of a middle-aged couple at a local caravan park. Was this suicide? 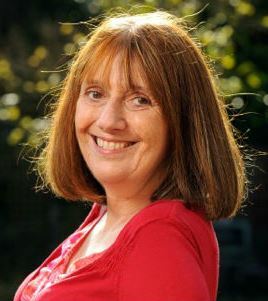 Then Zac Wilkinson is found murdered, and Wesley finds a link between the dead couple and Wynn Staniland. Interspersed with the journals of John Lipton and Mary Field, we follow Wesley’s investigation as he attempts to unravel the mystery surrounding recluse Wynn Staniland. Sinister puppets who made my blood run cold make an appearance! But they maybe to someone’s taste, but not mine. Wesley’s university friend archaeologist Neil Watson is excited when he is offered money to organise a dig at a ruin that has been bought by an American. The guy says he wants to rebuild the place and turn it into a hotel but Neil is uneasy as the American seems to have a personal agenda which looks more like an obsession. I hesitate to spoil anything for anyone who has not followed this series, but feel that it is part of the story to say that things are, as one expects in life, moving along. Wesley and his wife Pam are dealing with a problem that manifested itself in the last book. DCI Gerry Heffernam, he of the crocodile smile, has an unexpected development in his life, and DS Rachel Tracy is still on the brink of marriage – Will she, Won’t she? 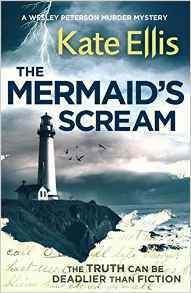 In this complex, clever and intricately plotted novel Kate Ellis again presents a fascinating mystery that frighteningly mirrors the past, and produces solutions to long forgotten puzzles. Most highly recommended. Simon & Schuster Crime Showcase. First Monday Meeting- Tonight 6 March.